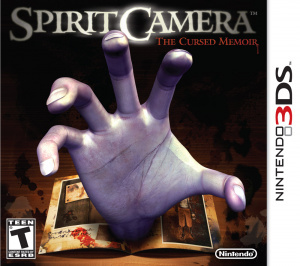 A visceral 3D horror tale unfolds before your eyes The Spirit Camera™: The Cursed Memoir game invites players to experience supernatural thrills they won’t soon forget, using the built-in camera functions and augmented-reality features of the Nintendo 3DS system. 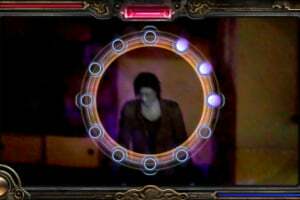 The game’s mysterious storyline involves a girl named Maya who has been hiding in the darkness of an old house, cursed by a malevolent woman in black. 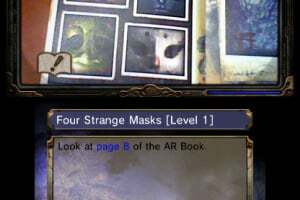 To free Maya from the curse, players must use the “diary of faces” – a 16-page AR notebook included with the game - to view ghostly images and interact with the world Maya is trapped in. 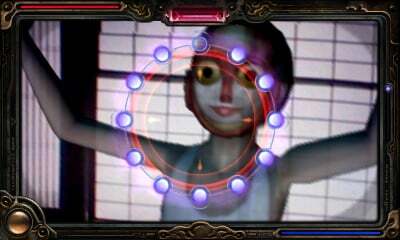 The Nintendo 3DS system becomes the Camera Obscura in players’ hands and is capable of revealing the supernatural and dispelling evil spirits. The lines between reality and fiction blur in this chilling horror adventure. The included “diary of faces” is a gateway into the game’s absorbing Story Mode. 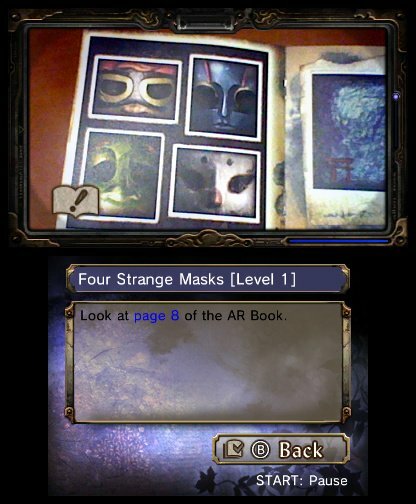 When viewed through the lenses of the Nintendo 3DS camera, each page of the book displays a variety of augmented-reality experiences. Some pages of the book come to life in the form of video segments that reveal past events and shed light on the game’s central mysterious storyline. 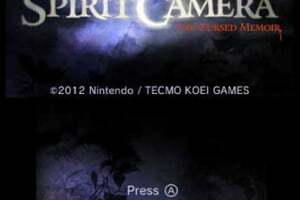 Others appear to send spirits floating into players’ real-world surroundings. 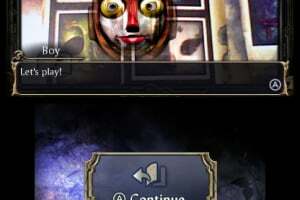 Some page even summons players to virtually enter a haunted house where Maya is hiding. 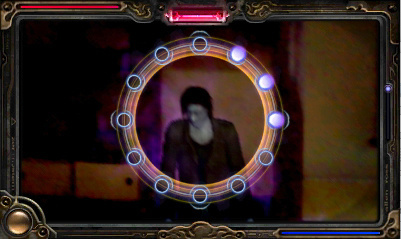 Additional modes let players use the system’s camera in spooky ways. In Spirit Photography, they can take photos at their leisure and watch as haunting visions appear within the pictures. Spirit Check, lets them snap pictures of themselves and their friends to uncover the eerie spirits that surround them. In Spirit Challenge, they can put their own face or a friend’s face on a spirit and then battle it. 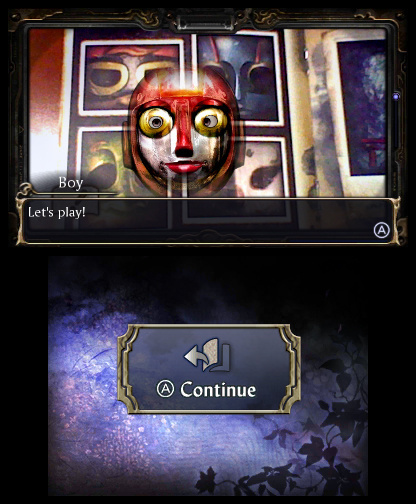 Players can also use the notebook with their Nintendo 3DS system to face other challenges involving a mix of memory, hide-and-seek and other game play elements all with a supernatural twist. LOL, yeah Spirit Camera is a pretty stupid name. @2+3 My guess is they thought 'Fatal Frame' sounded too violent. I was planning to get this game and play it during midnight but I just thought, "how the hell would I play this in the dark if it uses AR game-play/visual?" They should have just make the game-play similar to Fatal Frame 1 and just stick to its original title or "Project Zero" which is the title in Japan. 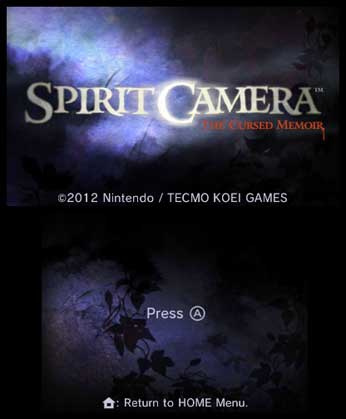 Spirit Camera is like The Hidden (3DS) only better. @Collinhall i guess you havent played Madworld, No More Heroes, House of the Dead Overkill, dead Space Extraction, Silent Hill Shattered Memories, Resident Evil series, Conker Bad Fur Day ect... There have been more violent games than Spirit Camera: The Cursed Memoir and this list on Nintendo consoles. Madworld-Sega, No More Heroes-Ubisoft, Resident Evil-Capcom, Conker Bad Fur Day-RARE. You guys do know this is a $40 game that doesnt even last 3 hours right? For £15 I would,anything else would be far too expensive. I wouldnt even pay £5 for it! Is it really in the American 3DS eShop? Why not in Europe? I would love to try this one out since it's so damn rare to find the cartridge version.